We are thrilled to be partnering with Zscaler to provide Barracuda customers with a new and more powerful internet security platform. Let's start with the basics: what is the Barracuda Web Security Service? Barracuda’s Web Security Service is a cloud-based, comprehensive, high performance, and highly scalable web content security solution. It comes in two subscription models, Basic and Advanced. 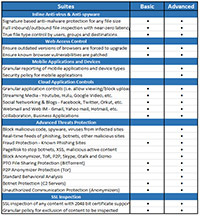 The Basic edition provides URL filtering and malware protection, SSL scanning, reporting, and other rich features listed on the chart below. The Advanced package offers Advanced Threat Protection (ATP) for attacks and mobile security protection in addition to all functionality included with the Basic package. A full list of features is below distinguishing the two editions. Please note that while Basic offers some ATP features, the second chart will show the more robust Advanced features offering. The below images are linked to larger versions that are easier to read. 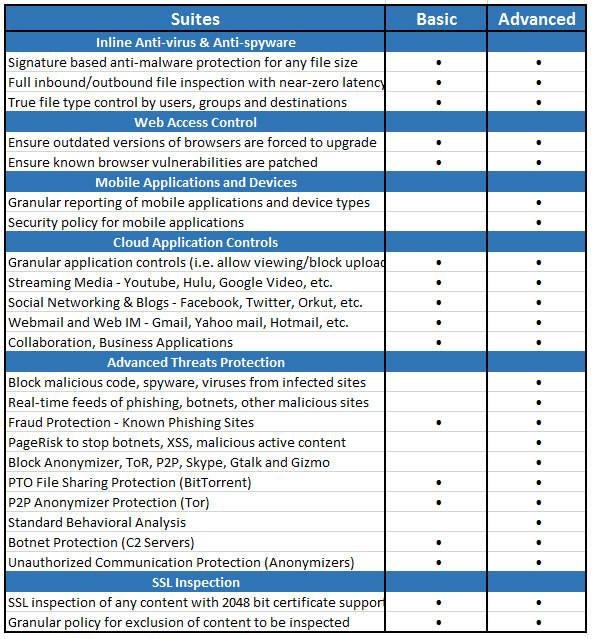 Why is Zscaler a good fit with the Web Security Service and Barracuda? Barracuda has the most powerful delivery platform for SMEs. We offer a full array of on-prem and cloud-based email security, web security, network security, backup and data protection solutions. Our platform was designed with the midmarket in mind – with comprehensive solutions that help simplify securing and protecting our customers’ users, applications, and data – with flexible deployment options for on-premises, public and private cloud, and hybrid environments. We deliver this functionality at one of the most competitive costs in the industry – and wrapped in award-winning 24/7/365 customer service and support. Zscaler has built a comprehensive security solution that is aimed at large enterprises. Both Zscaler and Barracuda recognized a great opportunity to bring this capability to SME/midmarket organizations. What’s more, Barracuda brings our world-class support organization to ensure a high level of customer satisfaction and support with our products. By providing a cloud-based security solution you can reduce the cost, complexity, and overhead associated with multiple layers of on-premises security equipment. Moreover, a cloud-based solution can offer you powerful system-wide and real-time reporting. This allows you to scale quickly and efficiently to account for unpredictable surges in customer demand. Why is scalability so important now? The ability to scale has always been important, but scaling with agility was always challenging with a strictly hardware-based solution. Our customers are dispersed across the world and they want the same seamless experience in whichever office environment they’re working on any given day of the week. With a network of datacenters across the world, we provide that solution and help to allay any concerns around performance latency. Moreover, a cloud-based solution offers consistent system-wide updates in an instant, further protecting customers from the latest malicious threats. How does this type of protection fit into a comprehensive security strategy? 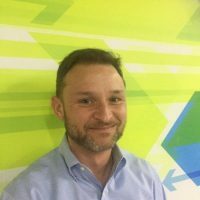 There is one type of customer that just wants a stand-alone cloud-based web solution, and that's fairly straight forward. They want to offload security and policy enforcement to the cloud, without having to deploy or maintain anything on-prem. The other type of customer deploys our NextGen Firewall gateway appliance and uses the cloud either as a policy orchestration layer or for enforcement as well. This type of deployment is particularly common in highly distributed environments with a large number of branch offices where it makes sense to offload intensive operations like URL filtering, reporting, and malware scanning to the cloud. A next-generation firewall is always recommended as part of a robust security strategy, and the Barracuda Web Security Service is a perfect companion to the NextGen Firewall. You can connect with John on LinkedIn here. For more information on the Barracuda Web Security Service, visit our WSS website here. For more on the Barracuda NextGen Firewalls, click here.